Sound Transit Central Link | Triunity Engineering & Management, Inc. 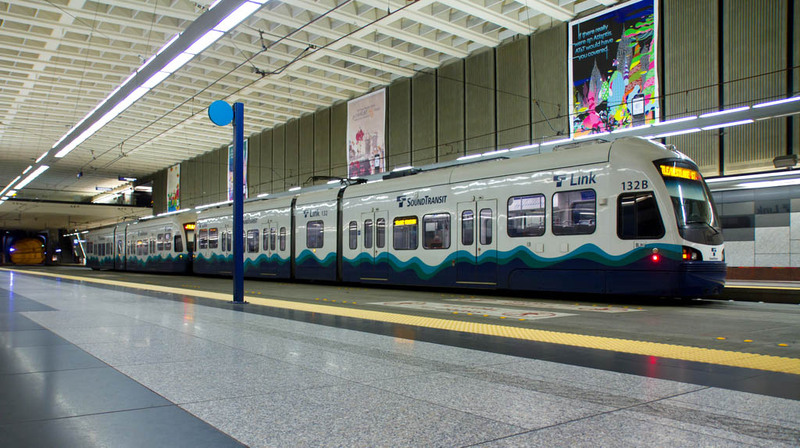 The $2.6 billion Central Link project is the initial alignment for Link Light Rail with 15.6 miles of track, 13 stations, and renovation of the Downtown Seattle Transit Tunnel (DSTT). This is the first combined bus and rail tunnel in the United States and posed the unique challenges of a shared communication system, where ventilation modes took into account 4 underground stations. Triunity provided construction management, field troubleshooting, and design services for the communications and control systems, including a high speed local and wide area IP network, low voltage copper cabling, fiber optic cabling, CCTV system, access control, intrusion detection systems, fire safety system interfaces, public address, visual message signs, SCADA and emergency telephones.